Its been a while. 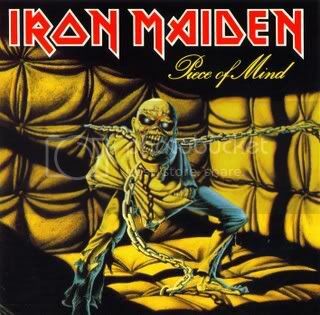 Cant whack a bit of Maiden every now and then. Still Life and To Tame A Land are two absolute gems on that album and don't get nearly enough mentions when people talk about this album, it's all about The Trooper or Revelations. This is very true. I love Revelations and The Trooper, i dont think theres a single bad track on that album actually. But there are alot of tracks that get overlooked. Personally I love Die With Your Boots On. For a long while I thought I was the only person who enjoyed this song. It is the gem of the album for me. Continuing what looks like it has become my Iron Maiden day with another of their records I haven't listened to in a long time. I'd forgotten how much i love Children of the Damned. Five to One - The Doors (Live). Great song, if you haven't heard it than listen to it, it's good. One of the better songs from a so-so album. Classic The The in other words.